According to Ruth Reichl, the renown editor in chief of Gourmet magazine and former restaurant critic, she and her editors combed through 50,000 recipes from 60 years worth of magazines to find a “treasure-trove of extraordinary recipes and a history of American cooking in its most exciting years”. 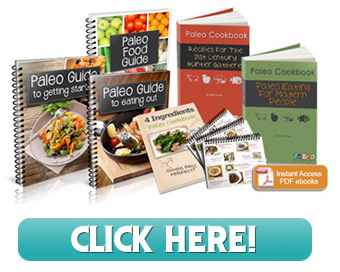 That’s a ton of history and the resulting tome is a whopping 1,152 pages of solid text packed full of recipes—exactly 1,283—and techniques for preparing pretty much anything a cook’s heart desires. 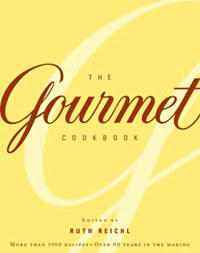 The Gourmet Cookbook offers an excellent balance of classic American recipes and ethnic recipes that run the range of deluxe to everyday. Favorite dishes are updated with new ingredients, for example mac & cheese goes deluxe with japanese panko bread crumbs and the common button mushroom is now replace by crimini in your caseroles, little touches to make your cooking seem more current. With a glossy yellow cover that’s dressed up enough for gift-giving, inside it’s all business. For those cooks who love the Gourmet approach to food -stylish and modern, every-day sophisticated.